Cargo biking needs a racing league. From the first sleds and chariots humans have taken every opportunity to race anything we ride in or on. 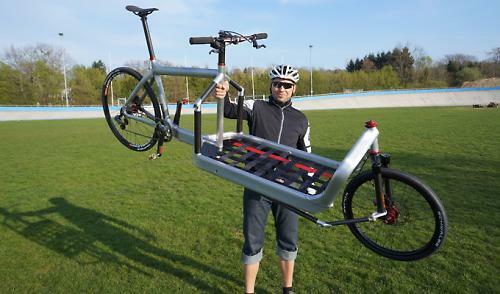 For the emerging cargo bike scene racing could be an extremely valuable way to showcase the prowess and potential of the cargo bike. Properly done in the right venue, racing is the perfect platform for educating the general public on the many variants of cargo bike available. There is nothing like seeing a bike hauling what you previously thought required a car or truck to inspire change. Also, events held in city centers connect these urban haulers to the community. Many cities use urban road running races like the London and Boston marathons to draw tourism. Cargo bikes events could do the same. Depending on the size of the city these events would also be a boon for local businesses. Manufacturers of road bikes and cars see advances in technology from their racing divisions make it's way into their everyday products benefiting the consumer. When put to the test I am sure the insanely creative people building cargo bicycles & tricycles would take that learning into their next production models as well. Here in the U.S. we have a budding competition call Disaster Relief Trials (DRT). This race is an obstacle course which simulates a natural disaster, usually an earthquake. 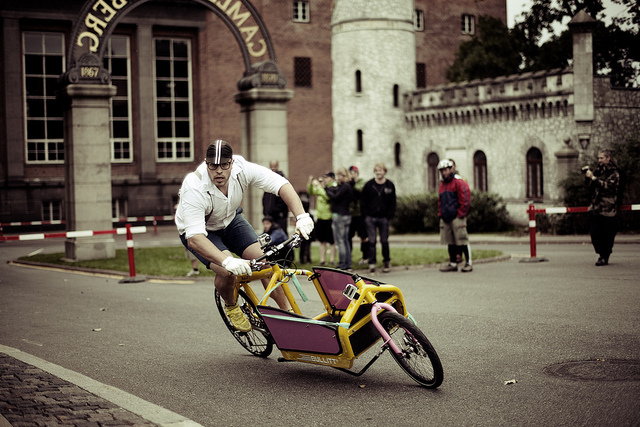 The genesis of the race was to demonstrate the capabilities of the cargo bike when typical modes of automotive transportation have been disrupted. In Sacramento there was a group of cargo bikers who loaded up compost and pumpkins then raced across town to claim the prize at a local brewery. Bike messengers have long standing events worldwide called Alleycat races. They zip through cities testing their bodies and nerve for bragging rights and fun. This style of racing is catching on in the U.S. as well. Once a cargo bike race reaches some momentum communities would see wider reach beyond the temporary spike in business for bike shops, fitness and hospitality companies. This type of racing would inspire more than just the lycra wearing road warriors. Everyday people looking for alternate forms of urban transport could see themselves leaving the car at home for more short trips around town. What type of events would you like to see to support the growth the cargo bike movement?